Apple Watch changed the definition of smartwearables since its roll out. And hence, Apple rules the smartwatch industry all over the world with its Apple Watch. The device has some extraordinary features. The latest Apple Watch Series 3 with cellular feature allows you to stay connected with your iPhone even when the handset is not around. You can receive calls with the latest watch. But recently, users are complaining about watch frozen after they have purchased it. There are a number of reasons for you to have a frozen watch. They might software as well as hardware reasons. Hence, today we have brought you some solutions keeping these factors in mind. Let us have a look on these solutions if you are Apple Watch frozen at apple logo issue. Most of the issues with any device are sorted out with just a simple restart. In this case, when you say you are facing apple watch frozen issue, a simple restart to the watch can set the things right. Follow the given below steps in order to solve frozen apple watch issue. Step 1: Press and hold the side button until the "Power Off" slider comes into view. Once the slider appears, slide it to shut down the watch. Step 2: Now long press the same side button until you see the Apple logo. 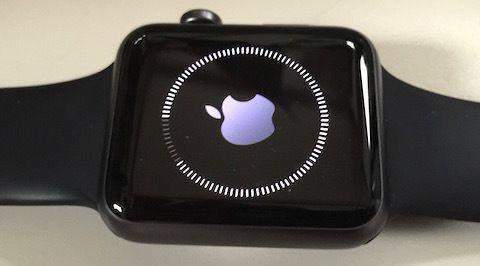 Are you still complaining "My apple watch is frozen" even after restarting your watch? Well, then you must try hard resetting or force restarting your watch. 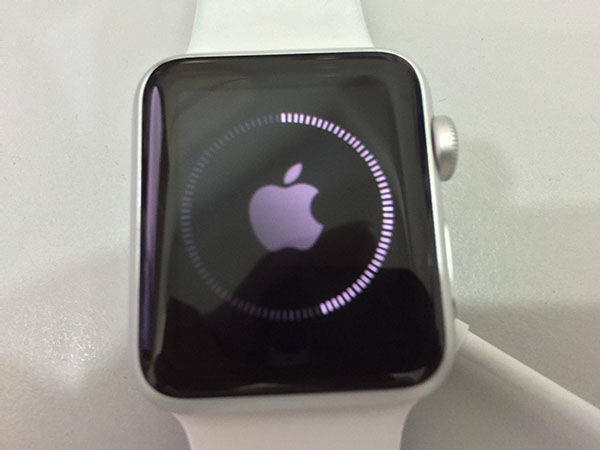 Follow the steps given below if you are facing Apple Watch frozen after update issue. Step 1: Begin by long pressing the side button and the crown for almost 10seconds. Step 2: This will turn off the display and the Apple logo will appear showing that the watch has been rebooted. 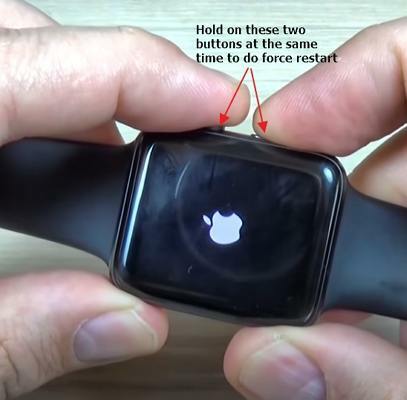 In this way you can reboot frozen Apple Watch. Most of the times, issue can be in the operating system as well. And Apple does roll out updates to its OS versions to solve this issue. You can always try updating the watchOS. Follow these steps to update the watchOS and solve the issue. Step 1: Do not turn off the charging for the watch till the software update completes. Step 3: Download the software update. Wait for the process to get completed on your watch too. This can take some time (maximum1 hour). Sometimes, issues can be caused due to faulty apps too. Hence it is better to delete those apps. Here is a step-by-step guide on how to delete faulty apps from Apple Watch. Note: Before you begin, please note that apps cannot be deleted if they are in List View. Hence you need to change the look to Grid View. Step 1: Begin by pressing the crown button of your watch to get the app list present in your watch. Step 2: Once the apps appear, gently press on the app that you wish to delete. The apps will start shaking. A cross will appear on the top corner of the app. Click on the cross. Step 3: A dialog box will appear for confirmation. Click on Delete App to delete the app. Sometimes, erasing all settings on the watch and using it as a new can also come handy. But this may result in the loss of data. Here are the steps that you need to follow to reset Apple Watch and solve "Apple Watch frozen with red lightning bolt" issue. Step 1: In your watch, go to Settings. Now search for General section. Step 2: Once you locate the General option, click on it. Scroll down to find the Reset option. Click on the option. Step 3: After you Reset, select Erase All Content and Setting. You will need to enter the passcode for proceeding with the option. Confirm your choice one more time when the watch asks. As mentioned earlier, sometimes you might problem due to certain hardware issues. At such times, all you need to do is visit the nearest AppleCare center so that the firm can repair your watch. If the device is warranty period, you will not have to pay any charges, else a certain amount is charged for the service. Do not try to repair the device on your own. You might land in a bigger problem and also lose the warranty on the device. While using some of the solutions mentioned above, you will require your iPhone as well. And sometimes, the iPhone might also face issues due to watch. At such times, you can always use Tenorshare ReiBootTenorshare ReiBoot to solve the issue. This tool is the ultimate solution to iPhone-related issue. The software offers single click solution to every issue, thereby making it easy to use. Cutting to the chase, you just had a look on the top 6 solutions that can solve your "my Apple Watch is frozen after update" complain. You also had a look at Tenorshare ReiBoot that can be used to solve any issue related to iOS. In the end, we would like to hear from you and implement your feedback. Give us feedback by commenting below.